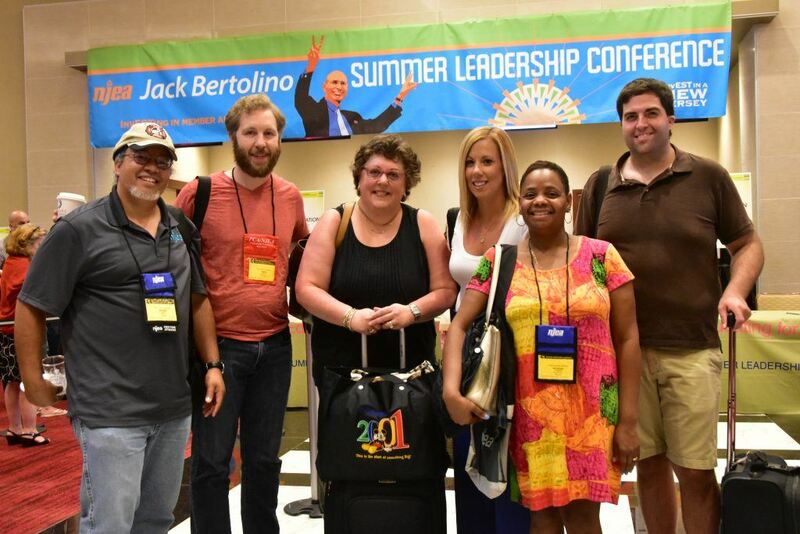 The 2019 NJEA Jack Bertolino Summer Leadership Conference will offer a broad menu of workshops that equip members to become stronger association advocates. Most workshops offer nine hours of training. A longer workshop providing 18 hours of training is available for newer presidents. Not all of the 32 workshops are offered in every workshop period. The workshop descriptions indicate when any given program is scheduled. To accommodate educational support professional members (ESP) who may wish to limit use of vacation or personal time, Workshop Number 19 runs from Friday evening to Sunday afternoon. For most workshops, registration begins on Day One at 1 p.m., and the first session starting at 4 p.m. Day Three ends with a brunch, which is served at 10:30 a.m. following the final workshop session. This year’s summer leadership conference will take place at Hilton East Brunswick. The conference is dedicated to developing association advocate representatives. Accordingly, no professional development credit is given for attendance in any seminar. To register you need to talk to your local and/or county association president. 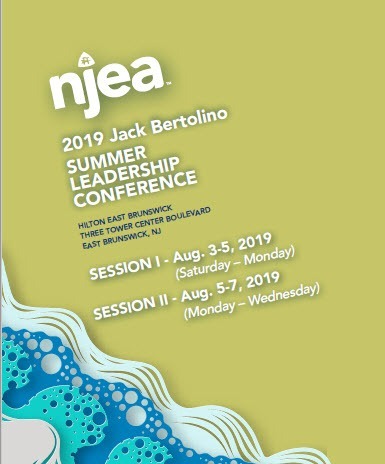 Local and county association presidents will receive registration brochures (below) with detailed information on the 2019 NJEA Jack Bertolino Summer Leadership Conference. You must contact your local president and consult that brochure to learn more about lodging, daily schedules, accommodations for members with special needs, and registration. Scholarships are available for first-time attendees. See your local and/or county president for more information.